Virgin Media is aiming to show targeted adverts in its video on demand (VOD) over a three-month trial period – dynamically altering what is shown depending on geographic location, programme type and time of day. The trial – which will take place in North London – has already attracted interest from the likes of Kellog's, John Lewis and Royal Mail, who have signed up for the quarter. The ads will be inserted using SeaChange's AdPulse system, and will only be on VOD content from Virgin Media, Channel 4 and Warner TV. 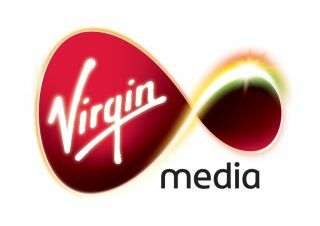 "Virgin Media has pioneered on demand TV in the UK and we continue to innovate with new content, interactivity and functionality, said Mark Schweitzer, chief commercial officer at Virgin Media. "As consumer usage of on demand continues to build, this trial will help us explore the best ways to reach a large and growing audience with engaging and relevant advertising." Advertising is becoming increasingly targeted in modern society as it becomes easier to track what people are watching and likely to be interested in. This has spawned unpopular scenarios online with Phorm becoming hugely controversial over its method of viewing surfing habits to serve relevant adverts. But adverts that are based on geography, time and programme type would appear to be a little less invasive for the public (assuming no records are kept). The viewers may, however,be more concerned that what was previously ad free will now carry sponsors' messages.